Zanele Muholi: Somnyama Ngonyama, Hail the Dark Lioness includes 100 self-portraits created by one of the most powerful visual activists of our time. 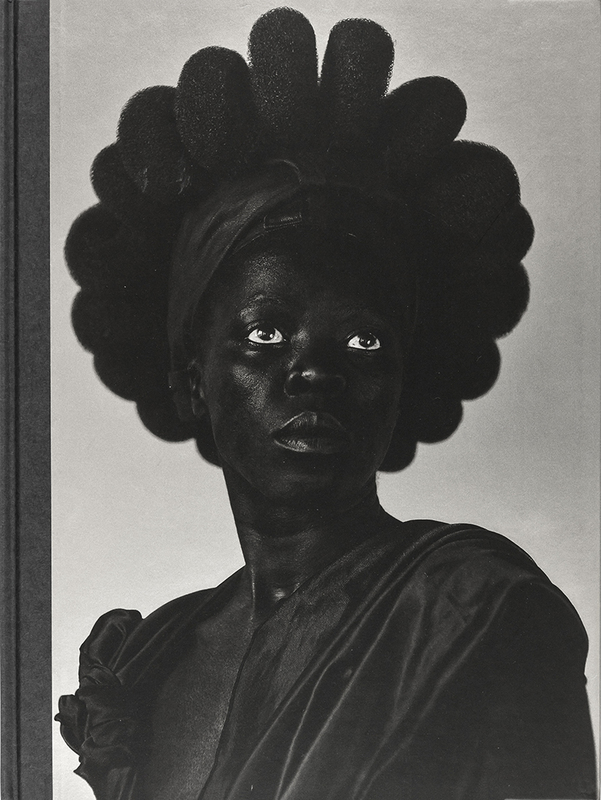 In each of the images, Muholi drafts material props from her immediate environment in an effort to reflect her journey, explore her own image and possibilities as a black woman in today’s global society, and - most important - to speak emphatically in response to contemporary and historical racisms. As she states, 'I am producing this photographic document to encourage people to be brave enough to occupy spaces, brave enough to create without fear of being vilified ... To teach people about our history, to re-think what history is all about, to re-claim it for ourselves, to encourage people to use artistic tools such as cameras as weapons to fight back'. More than 20 curators, poets and authors offer written contributions that draw out the layers of meaning and possible readings to accompany select images. They include Renée Mussai, Unoma Azuah, Milisuthando Bongela, Ama Josephine Budge, Cheryl Clarke, Fariba Derakhshani, Andiswa Dlamini, Christine Eyene, Tamar Garb, Thelma Golden, Sophie Hackett, M Neelika Jayawardane, Peace Kiguwa, Mapula Lehong, Sindiwe Magona, Napo 'Popo' Masheane, Hlonipha Mokoena, Jackie Mondi, Pumelela 'Push' Nqelenga, Oluremi C Onabanjo, Ruti Talmor, Christie van Zyl, Carla Williams and Deborah Willis. Powerfully arresting, this collection is as much a manifesto of resistance as it is an autobiographical, artistic statement. The book has won Aperture 'Book Publisher of the Year' at the 2018 Lucie Awards.